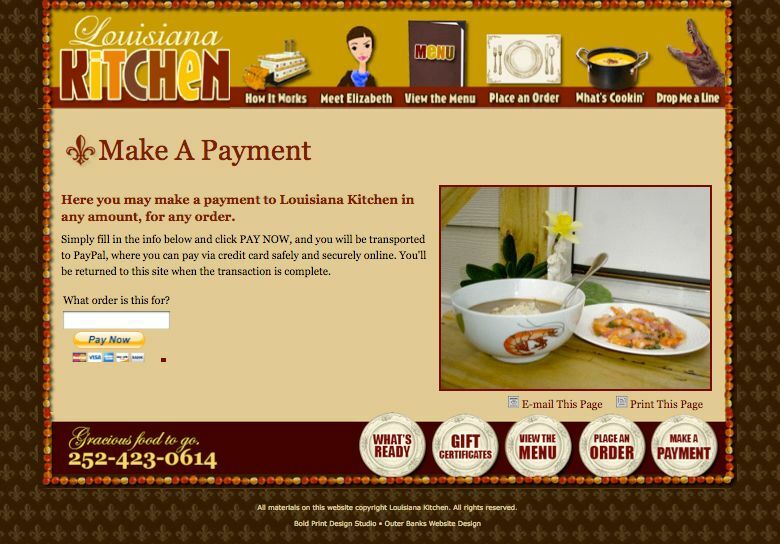 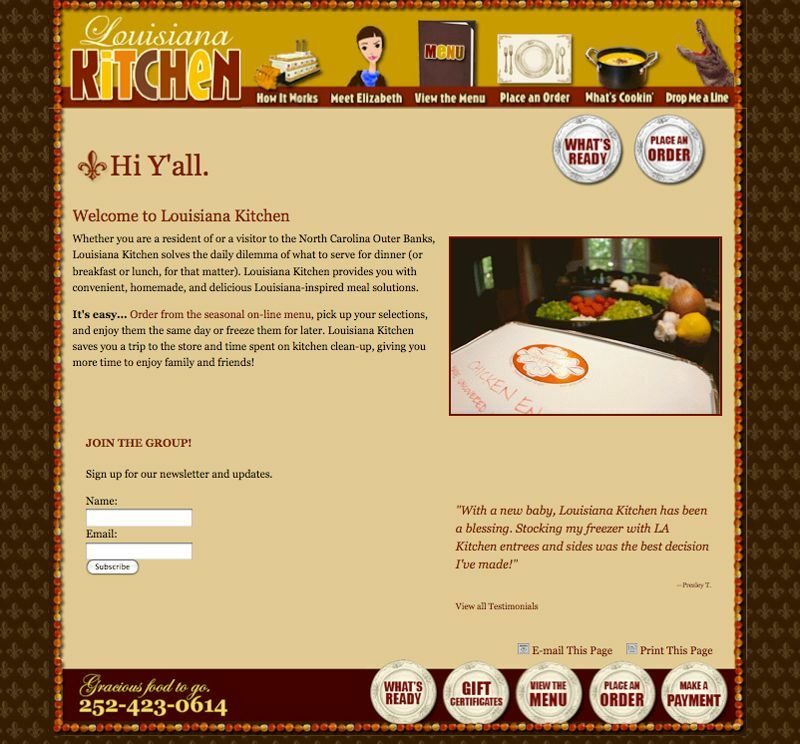 Louisiana Kitchen’s website redesign features their full menu, an order form, and payment submission option. 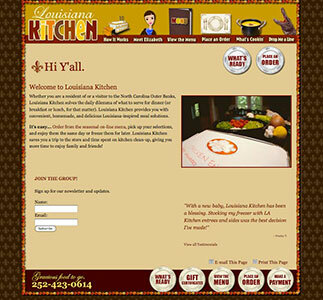 We created custom graphics around some of her favorite things of New Orleans. 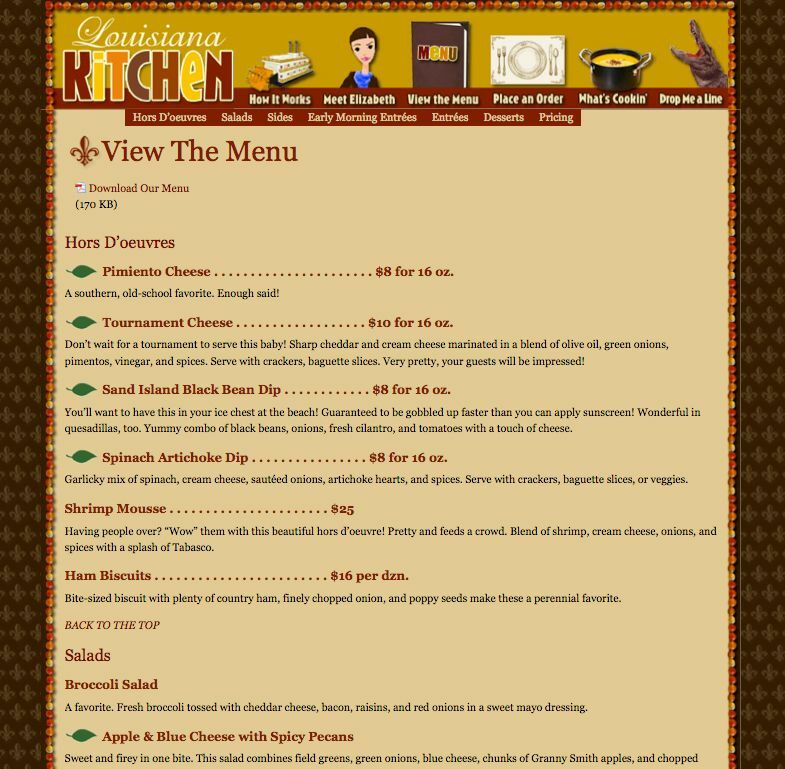 The meet Elizabeth icon was illustrated to look like the chef.